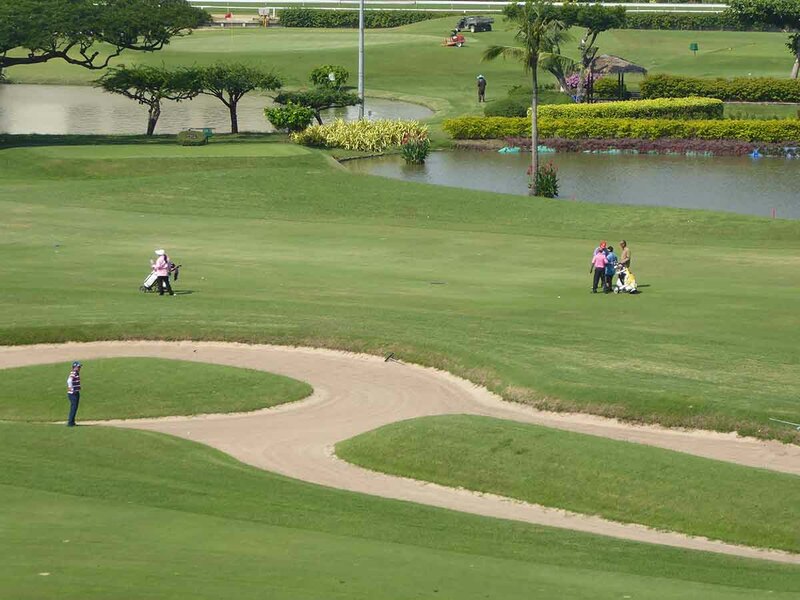 The green fees are reasonable and you can hire equipment, a caddie, shoes, and carts. Both courses are short par 66 courses with narrow fairways, lots of sand traps and water hazards. The holes are mostly par 3 or par 4. Location: Royal Bangkok Sports Club, Henri Dunant Road. Opening Hours: Golf Course 05.30-dusk daily. Closed on horse racing days. Getting There: BTS Siam Station (exit 6). Turn right into Henry Dunant Road. 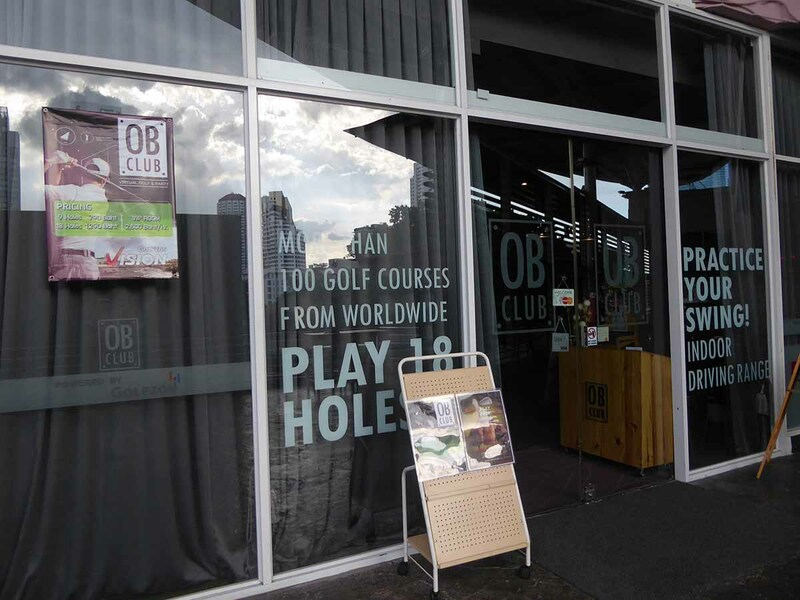 OB Club has two locations above Big C in Ekkamai and in the Esplanade Mall on Ratchada. 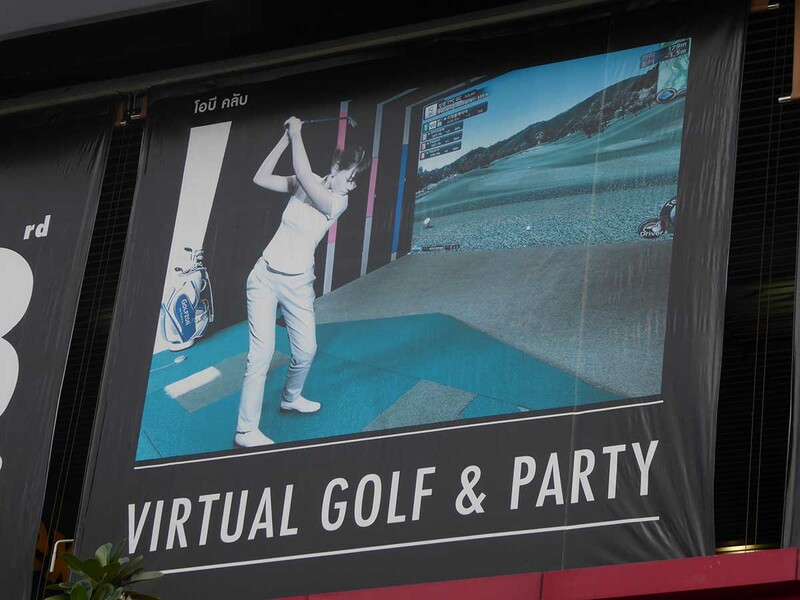 The golf simulator allows you to play at any of 140 courses from around the world while eating and drinking. There are bar service and a Japanese food menu at inexpensive prices. 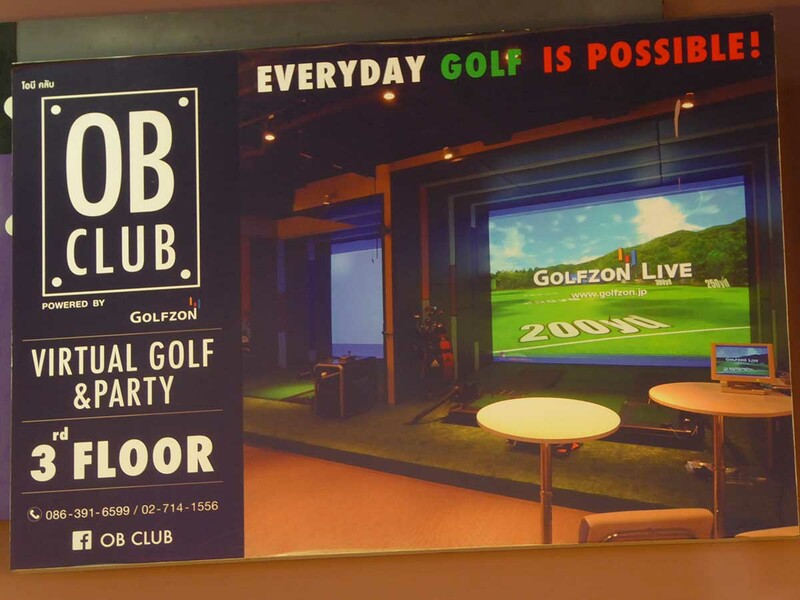 OB Club has regular promotions on food, drink, and golf. 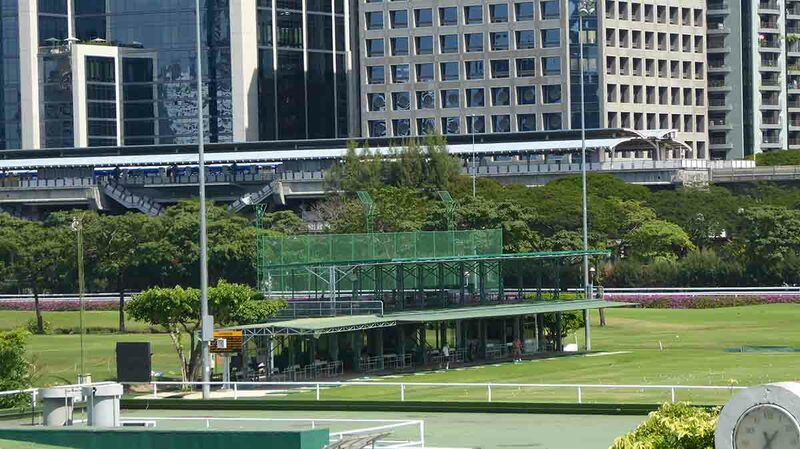 There is also an indoor driving range and a horse racing simulator if you get bored with the golf. There are six simulator screens partitioned in open booths with comfortable sofa style seating. After choosing the course and number of holes you receive a set of golf clubs and balls or you are free to bring your own. 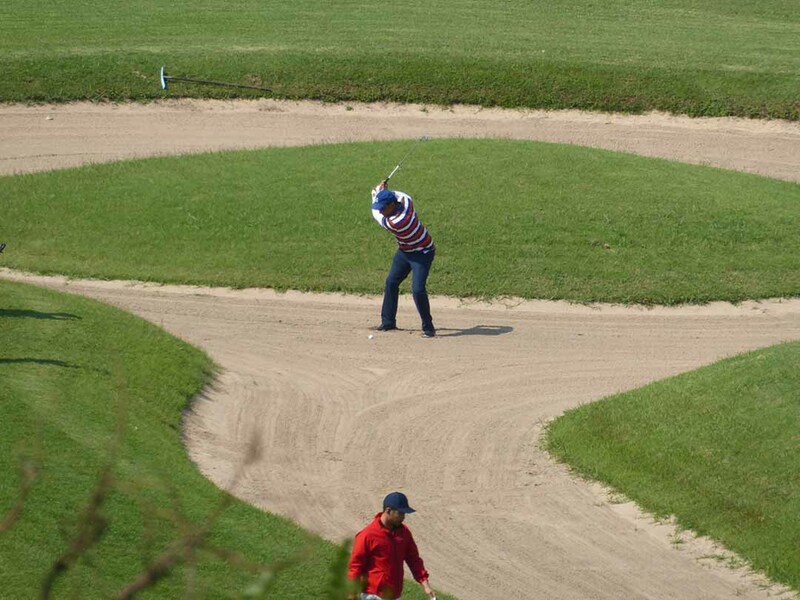 You play just as you would on a real course with a full swing to hit the ball. The system measures the power and trajectory of your shot calculate the distance and the simulator will show on the screen the place of your ball with the realistic graphics making you feel that you are there. Location: 3rd floor, Big C Lifestyle Mall, Sukhumvit Soi 63 (Ekkamai). 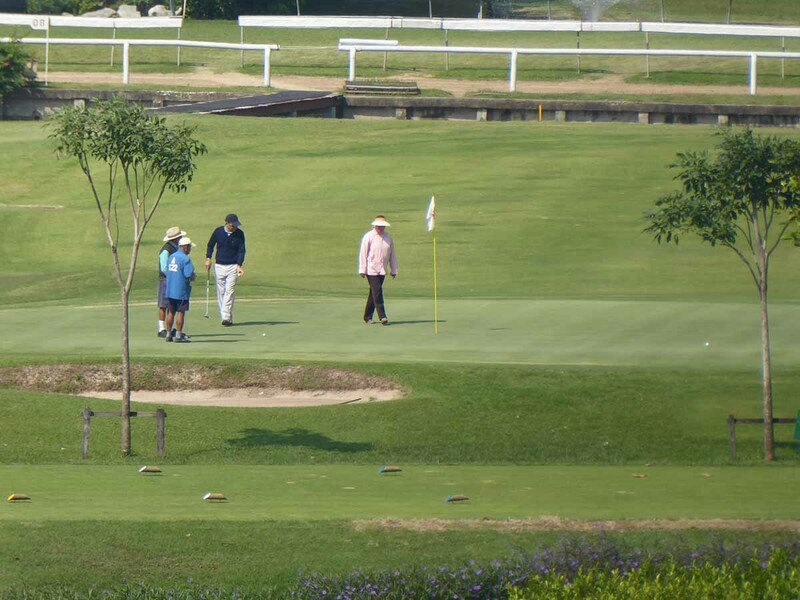 Admission: 16.00-24.00 9 holes 590 baht per person, 18 holes 990 per person (daily) 10.00-16.00 9 holes 390 baht, 18 holes 690 baht. (Monday-Friday) There are also regular promotional deals. VIP Room 1500-2500 per hour. Getting There: BTS Ekkamai Station (exit 1). Turn right into Ekkamai Road. Walking 10 minutes or take a taxi. Location: 4th floor, Esplanade Mall, Ratchadaphisek Road. Getting There: MRT Thailand Cultural Center (exit 3).